The Member States hereby agree the following articles which are recommended as a basis for action. The Code applies to the marketing, and practices related thereto, of the following products: breastmilk substitutes, including infant formula; other milk products, foods and beverages, including bottle-fed complementary foods, when marketed or otherwise represented to be suitable, with or without modification, for use as a partial or total replacement of breast-milk; feeding bottles and teats. It also applies to their quality and availability, and to information concerning their use. “Breastmilk substitute” means any food being marketed or otherwise represented as a partial or total replacement for breast milk, whether or not suitable for that purpose. “Complementary food” means any food, whether manufactured or locally prepared, suitable as a complement to breast milk or to infant formula, when either becomes insufficient to satisfy the nutritional requirements of the infant. Such food is also commonly called “weaning food” or “breastmilk supplement”. “Container” means any form of packaging of products for sale as a normal retail unit, including wrappers. “Distributor” means a person, corporation or any other entity in the public or private sector engaged in the business (whether directly or indirectly) of marketing at the wholesale or retail level a product within the scope of this Code. A “primary distributor” is a manufacturer’s sales agent, representative, national distributor or broker. “Health care system” means governmental, nongovernmental or private institutions or organisations engaged, directly or indirectly, in health care for mothers, infants and pregnant women; and nurseries or childcare institutions. It also includes health workers in private practice. For the purposes of this Code, the health care system does not include pharmacies or other established sales outlets. “Health worker” means a person working in a component of such a health care system, whether professional or nonprofessional, including voluntary, unpaid workers. “Infant formula” means a breastmilk substitute formulated industrially in accordance with applicable Codex Alimentarius standards, to satisfy the normal nutritional requirements of infants up to between four and six months of age, and adapted to their physiological characteristics. Infant formula may also be prepared at home, in which case it is described as “home prepared”. “Label” means any tag, brand, mark, pictorial or other descriptive matter, written, printed, stencilled, marked, embossed or impressed on, or attached to, a container (see above) of any products within the scope of this Code. “Manufacturer” means a corporation or other entity in the public or private sector engaged in the business or function (whether directly or through an agent or through an entity controlled by or under contract with it) of manufacturing a product within the scope of this Code. “Marketing” means product promotion, distribution, selling, advertising, product public relations, and information services. “Marketing personnel” means any persons whose functions involve the marketing of a product or products coming within the scope of this Code. “Samples” means single or small quantities of a product provided without cost. “Supplies” means quantities of a product provided for use over an extended period, free or at a low price, for social purposes, including those provided to families in need. 4.1 Governments should have the responsibility to ensure that objective and consistent information is provided on infant and young child feeding for use by families and those involved in the field of infant and young child nutrition. This responsibility should cover either the planning, provision, design and dissemination of information, or their control. 5. where needed, the proper use of infant formula, whether manufactured industrially or home prepared. When such materials contain information about the use of infant formula, they should include the social and financial implications of its use; the health hazards of inappropriate foods or feeding methods; and, in particular, the health hazards of unnecessary or improper use of infant formula and other breastmilk substitutes. Such materials should not use any pictures or text which may idealise the use of breastmilk substitutes. 4.3 Donations of informational or educational equipment or materials by manufacturers or distributors should be made only at the request and with the written approval of the appropriate government authority or within guidelines given by governments for this purpose. Such equipment or materials may bear the donating company’s name or logo, but should not refer to a proprietary product that is within the scope of this Code, and should be distributed only through the health care system. 5.1 There should be no advertising or other form of promotion to the general public of products within the scope of this Code. 5.2 Manufacturers and distributors should not provide, directly or indirectly, to pregnant women, mothers or members of their families, samples of products within the scope of this Code. 5.3 In conformity with paragraphs 1 and 2 of this Article, there should be no point-of-sale advertising, giving of samples, or any other promotion device to induce sales directly to the consumer at the retail level, such as special displays, discount coupons, premiums, special sales, loss leaders and tie-in sales, for products within the scope of this Code. This provision should not restrict the establishment of pricing policies and practices intended to provide products at lower prices on a long-term basis. 5.4 Manufacturers and distributors should not distribute to pregnant women or mothers of infants and young children any gifts of articles or utensils which may promote the use of breastmilk substitutes or bottle feeding. 5.5 Marketing personnel, in their business capacity, should not seek direct or indirect contact of any kind with pregnant women or with mothers of infants and young children. 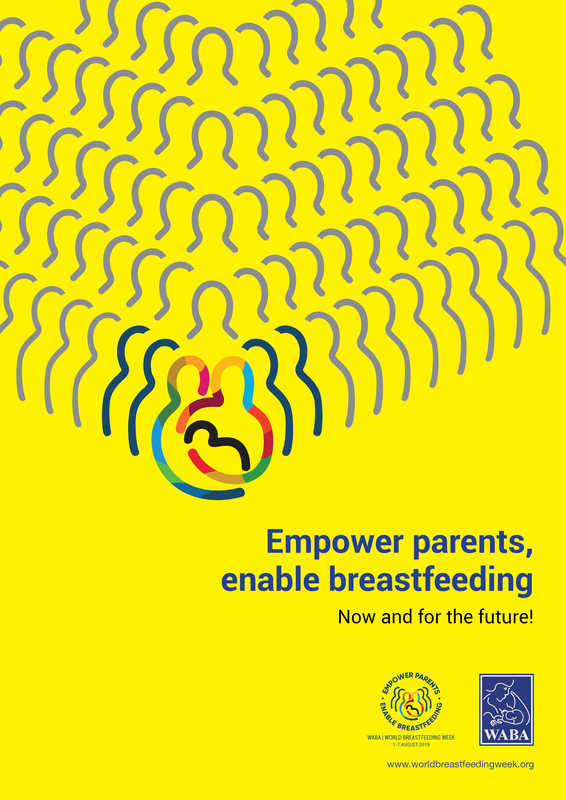 6.1 The health authorities in Member States should take appropriate measures to encourage and protect breastfeeding and promote the principles of this Code, and should give appropriate information and advice to health workers in regard to their responsibilities, including the information specified in Article 4.2. 6.2 No facility of a health care system should be used for the purpose of promoting infant formula or other products within the scope of this Code. This Code does not, however, preclude the dissemination of information to health professionals as provided in Article 7.2. 6.3 Facilities of health care systems should not be used for the display of products within the scope of this Code, for placards or posters concerning such products, or for the distribution of material provided by a manufacturer or distributor other than that specified in Article 4. 6.4 The use by the health care system of “professional service representatives”, “mothercraft nurses” or similar personnel, provided or paid for by manufacturers or distributors, should not be permitted. 6.5 Feeding with infant formula, whether manufactured or home prepared, should be demonstrated only by health workers, or other community workers if necessary; and only to the mothers or family members who need to use it; and the information given should include a clear explanation of the hazards of improper use. 6.6 Donations or low-price sales to institutions or organisations of supplies of infant formula or other products within the scope of this Code, whether for use in the institutions or for distribution outside them, may be made. Such supplies should only be used or distributed for infants who have to be fed on breastmilk substitutes. If these supplies are distributed for use outside the institutions, this should be done only by the institutions or organisations concerned. Such donations or low-price sales should not be used by manufacturers or distributors as a sales inducement. 6.7 Where donated supplies of infant formula or other products within the scope of this Code are distributed outside an institution, the institution or organisation should take steps to ensure that supplies can be continued as long as the infants concerned need them. Donors, as well as institutions or organisations concerned, should bear in mind this responsibility. 6.8 Equipment and materials, in addition to those referred to in Article 4.3, donated to a health care system may bear a company’s name or logo, but should not refer to any proprietary product within the scope of this Code. 7.1 Health workers should encourage and protect breastfeeding; and those who are concerned in particular with maternal and infant nutrition should make themselves familiar with their responsibilities under this Code, including the information specified in Article 4.2. 7.2 Information provided by manufacturers and distributors to health professionals regarding products within the scope of this Code should be restricted to scientific and factual matters, and such information should not imply or create a belief that bottle feeding is equivalent or superior to breastfeeding. It should also include the information specified in Article 4.2. 7.3 No financial or material inducements to promote products within the scope of this Code should be offered by manufacturers or distributors to health workers or members of their families, nor should these be accepted by health workers or members of their families. 7.4 Samples of infant formula or other products within the scope of this Code., or of equipment or utensils for their preparation or use, should not be provided to health workers except when necessary for the purpose of professional evaluation or research at the institutional level. Health workers should not give samples of infant formula to pregnant women, mothers of infants and young children, or members of their families. 7.5 Manufacturers and distributors of products within the scope of this Code should disclose to the institution to which a recipient health worker is affiliated any contribution made to him or on his behalf for fellowships, study tours, research grants, attendance at professional conferences, or the like. Similar disclosures should be made by the recipient. 8.1 In systems of sales incentives for marketing personnel, the volume of sales of products within the scope of this Code should not be included in the calculation of bonuses, nor should quotas be set specifically for sales of these products. This should not be understood to prevent the payment of bonuses based on the overall sales by a company of other products marketed by it. 8.2 Personnel employed in marketing products within the scope of this Code should not, as part of their job responsibilities, perform educational functions in relation to pregnant women or mothers of infants and young children. This should not be understood as preventing such personnel from being used for other functions by the health care system at the request and with the written approval of the appropriate authority of the government concerned. 9.1 Labels should be designed to provide the necessary information about the appropriate use of the product, and so as not to discourage breastfeeding. 4. instructions for appropriate preparation, and a warning against the health hazards of inappropriate preparation. Neither the container nor the label should have pictures of infants, nor should they have other pictures or text which may idealise the use of infant formula. They may, however, have graphics for easy identification of the product as a breastmilk substitute and for illustrating methods of preparation. The terms “humanised”, “maternalised” or similar terms should not be used. Inserts giving additional information about the product and its proper use, subject to the above conditions, may be included in the package or retail unit. When labels give instructions for modifying a product into infant formula, the above should apply. 9.3 Food products within the scope of this Code, marketed for infant feeding, which do not meet all the requirements of an infant formula, but which can be modified to do so, Should carry on the label a warning that the unmodified product should not be the sole source of nourishment of an infant. Since sweetened condensed milk is not Suitable for infant feeding, nor for use as a main ingredient of infant formula, its label should not contain purported instructions on how to modify it for that purpose. 3. the batch number and the date before which the product is to be consumed, taking into account the climatic and storage conditions of the country concerned. 10.1 The quality of products is an essential element for the protection of the health of infants and therefore should be of a high recognised standard. 10.2 Food products within the scope of this Code should, when sold or otherwise distributed, meet applicable standards recommended by the Codex Alimentarius Commission and also the Codex Code of Hygienic Practice for Foods for Infants and Children. 11.1 Governments should take action to give effect to the principles and aim of this Code, as appropriate to their social and legislative framework, including the adoption of national legislation, regulations or other suitable measures. For this purpose, governments should seek, when necessary, the cooperation of WHO, UNICEF and other agencies of the United Nations system. National policies and measures, including laws and regulations, which are adopted to give effect to the principles and aim of this Code should be publicly stated, and should apply on the same basis to all those involved in the manufacture and marketing of products within the scope of this Code. 11.2 Monitoring the application of this Code lies with governments acting individually, and collectively through the World Health Organisation as provided in paragraphs 6 and 7 of this Article. The manufacturers and distributors of products within the scope of this Code, and appropriate nongovernmental organisations, professional groups, and consumer organisations should collaborate with governments to this end. 11.3 Independently of any other measures taken for implementation of this Code, manufacturers and distributors of products within the scope of this Code should regard themselves as responsible for monitoring their marketing practices according to the principles and aim of this Code, and for taking steps to ensure that their conduct at every level conforms to them. 11.4 Nongovernmental organisations, professional groups, institutions, and individuals concerned should have the responsibility of drawing the attention of manufacturers or distributors to activities which are incompatible with the principles and aim of this Code, so that appropriate action can be taken. The appropriate governmental authority should also be informed. 11.5 Manufacturers and primary distributors of products within the scope of this Code should apprise each member of their marketing personnel of the Code and of their responsibilities under it. 11.6 In accordance with Article 62 of the Constitution of the World Health Organisation, Member States shall communicate annually to the Director General information on action taken to give effect to the principles and aim of this Code. 11.7 The Director General shall report in even years to the World Health Assembly on the status of implementation of the Code; and shall, on request, provide technical support to Member States preparing national legislation or regulations, or taking other appropriate measures in implementation and furtherance of the principles and aim of this Code. On the Protection, Promotion and Support of Breastfeeding. ●As a global goal for optimal maternal and child health and nutrition, all women should be enabled to practise exclusive breastfeeding and all infants should be fed exclusively on breastmilk from birth to 4-6 months of age. Thereafter, children should continue to be breastfed, while receiving appropriate and adequate complementary foods, for up to two years of age or beyond. This child-feeding ideal is to be achieved by creating an appropriate environment of awareness and support so that women can breastfeed in this manner. ●Attainment of this goal requires, in many countries, the reinforcement of a “breastfeeding culture” and its vigorous defence against incursions of a “bottle-feeding culture”. This requires commitment and advocacy for social mobilization, utilizing to the full the prestige and authority of acknowledged leaders of society in all walks of life. ●Efforts should be made to increase women’s confidence in their ability to breastfeed. Such empowerment involves the removal of constraints and influences that manipulate perceptions and behaviour towards breastfeeding, often by subtle and indirect means. This requires sensitivity, continued vigilance, and a responsive and comprehensive communications strategy involving all media and addressed to all levels of society. Furthermore, obstacles to breastfeeding within the health system, the workplace and the community must be eliminated. ●Measures should be taken to ensure that women are adequately nourished for their optimal health and that of their families. Furthermore, ensuring that all women also have access to family planning information and services allows them to sustain breastfeeding and avoid shortened birth intervals that may compromise their health and nutritional status, and that of their children. ●All governments should develop national breastfeeding policies and set appropriate national targets for the 1990s. They should establish a national system for monitoring the attainment of their targets, and they should develop indicators such as the prevalence of exclusively breastfed infants at discharge from maternity services, and the prevalence of exclusively breastfed infants at four months of age. ●National authorities are further urged to integrate their breastfeeding policies into their overall health and development policies. In so doing they should reinforce all actions that protect, promote and support breastfeeding within complementary programmes such as prenatal and perinatal care, nutrition, family planning services, and prevention and treatment of common maternal and childhood diseases. All healthcare staff should be trained in the skills necessary to implement these breastfeeding policies. Appointed a national breastfeeding coordinator of appropriate authority, and established a multisectoral national breastfeeding committee composed of representatives from relevant government departments, non-governmental organizations, and health professional associations. Ensured that every facility providing maternity services fully practises all ten of the Ten Steps to Successful Breastfeeding set out in the joint WHO/UNICEF statement “Protecting, promoting and supporting breastfeeding: the special role of maternity services”. The Innocenti Declaration was produced and adopted by participants at the WHO/UNICEF policymakers’ meeting on “Breastfeeding in the 1990s: A Global Initiative, co-sponsored by the United States Agency for International Development (A.I.D.) and the Swedish International Development Authority (SIDA), held at the Spedale degli Innocenti, Florence, Italy, on 30 July – 1 August 1990. The Declaration reflects the content of the original background document for the meeting and the views expressed in group and plenary sessions.